This Somatic EMDR Workshop — taught by Barb Maiberger, MA, LPC and Katie Asmus, MA, LPC, BMP — is designed to help EMDR therapists learn how to work with grief and loss using EMDR therapy. We often hear EMDR therapists say that they can’t work with grief because clients are afraid that EMDR therapy will “take away” the grief and the connection to their loved one or meaningful situations. That is impossible! EMDR therapy cannot take a person’s grief away. What it does is help people process what is stuck and holding them back and causing tremendous pain. If losses are not processed they can lead to distressing symptoms and dysfunctional thoughts, feelings, and body sensations. Through consciously exploring the impact of loss, therapists will deepen their understanding of the complex factors contributing to the grief process. Our integrative approach helps clients move with and through their pain emotionally, physically and spiritually using somatic tools that will help clients feel more alive and present while still honoring the complexity of the loss. Recognizing how different kinds of losses cause a variety of dysfunctional thoughts, feelings, and body sensations. Looking at early childhood attachment and how that impacts with how people grieve and experience loss. Finding targets and protocols to create safety and reprocess trauma and grief to help clients feel more connected to their bodies and fell their lives more fully. Incorporating somatic tools so that clients can integrate the grief response by maintaining a connection to their bodies, emotions, with a greater sense of compassion. Recognize some of my cultural biases with grief and loss. Identify the differences between normal grief and complicated grief. Recognize at least two emotional signs or symptoms for normal grieving process. Identify at least two factors that prolong or complicate the grieving process. Apply a grief and loss timeline for Case Conceptualization for EMDR therapy. 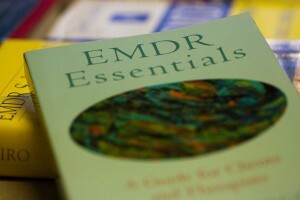 Identify potential targets to reprocess in EMDR therapy related to grief and loss. Describe two body symptoms that can be related to grief and loss. Recount how Attachment wounds can impact the grieving process. Explain the importance of RDI’s before processing grief. Demonstrate at least two RDI’s in support of processing grief. Describe how transitions can have a grief process and be potential targets for EMDR therapy. Recall at least two interweaves for stuck processing during Desensitization Phase in EMDR therapy.